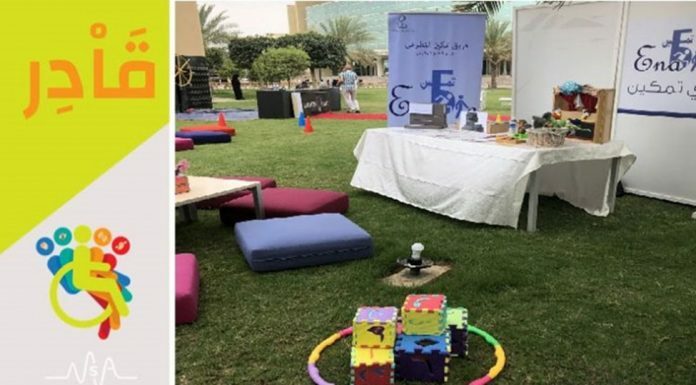 Excited high-school students and helpful parents were enthralled by Alfaisal University’s captivating and engaging exhibition stand as Universities lined up to try to capture potential students. 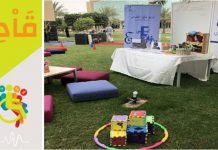 The 4th Saudi International Education and Training Exhibition held in the Dhahran International Exhibitions center from April 21st-25th, was a tremendous success for Alfaisal University. 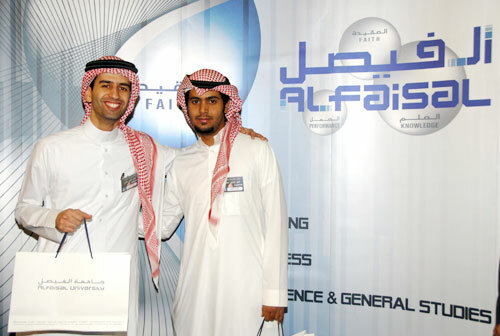 The University attracted and enticed students to its programs from all over the Eastern Province and as far as Qatif. The exhibition attracted high school graduating students who were eager to place themselves with leading universities that would offer them a high standard of education in the Kingdom. The exhibition brought universities and colleges from around the GCC, as participants at the exhibition. Exhibitors included the Gulf University, Ahlia University, George Mason University in Ras Alkhaimah, American University of Sharjah, Sharjah University, and many institutes and colleges to train students in English as a second language. 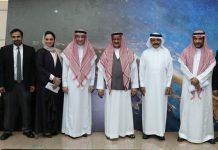 Alfaisal University participated as one of the leading modern research based Universities in the Kingdom that is at the forefront of providing a high standard of international education with a multitude of international collaborations such as Harvard Medical International and King Faisal Specialist Hospital. With its emerging high tech campus, equipped with state of the art facilities to enhance student learning and international faculty, Alfaisal University was a real crowd puller. Students and parents alike were impressed with the University’s mission and welcomed the notion of introducing their children to a student centered learning and teaching approach offered by the university. Our University’s, affiliations, founders and partners made a huge impact on the students and parents. The exhibition further provided a platform to invite students to the Open House for those who showed further interest in the programs offered at Alfaisal University. It also gave parents a chance to discuss with the recruits present the opportunities available and the pertinent information needed for admission. Handouts, brochures and give a ways were provided for the attendees along with the website information for Alfaisal and the University Preparatory Program. A video presentation of the University campus captivated visitors and students. This exhibit provided an excellent opportunity of solidifying our position and image in the public eye especially amongst high-school students and their parents. Thousands of students and visitors attended over the five-day event. 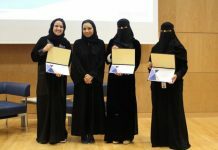 Alfaisal was hailed as the emerging MIT of the Middle East by parents and students wanting the best educational opportunities here in the Kingdom.